Just back from a trip to Shikoku in Japan, after a long delay in the incoming flight. This post is intentionally short so as to allow me to catch up with matters which have arisen during my trip. 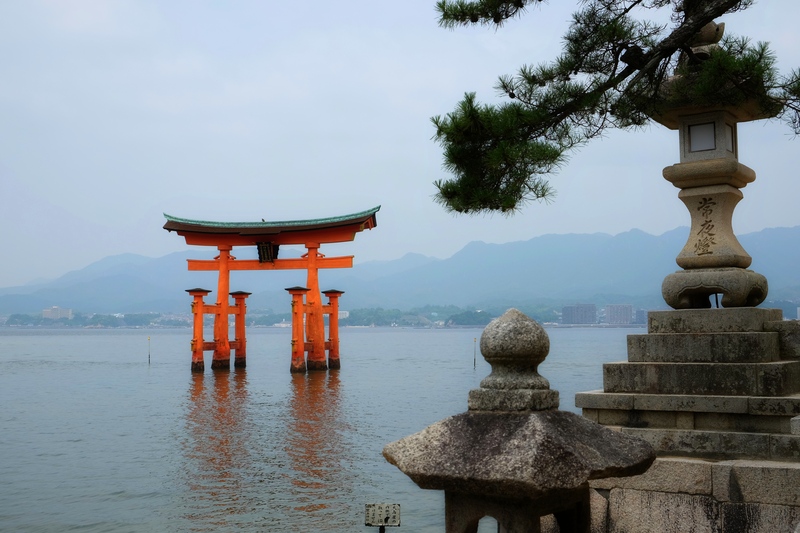 The picture shows part of the Itsukushima Shrine – the part which looks like a portal in water. This is located in Miyajima Island which has been worshipped as a divine island since ancient times. Great to hear from you, Ann! Have safe trips, Michael! Thanks for the post! Great photo – hope all is well. Hope all’s well with you too! Great to hear from you. thank you! It is good to have you back, Michael. Thank you for your photograph, I have always wanted to visit Japan; perhaps someday I will get the chance. Hope you will visit it one day! Yes, that would be wonderful 🙂 !! Excellent. I am planning to visit this place this summer if I have enough time. Places in prefectures nearby also deserve visiting! You’ve captured a wonderful photo of a very peaceful image. I’ll share other photos of my Japanese trip in due course! My father had been here – he loved it! The occupation meant learning a lot about another culture for him. That was really good. We all need more understanding of other people’s. Culture. Wow , this is on my bucket list !! Hope you will make it there soon! I’m counting on it !! This is on my route … plan and I’m going to stay one night on the island – it’s suppose to be very special. Already booked, my most expensive hotel night of my 24 days. *smile Beautiful capture. Please take a picture of yourself with the Shrine in the waters as the background. – think you will love it! Thanks for the tip … not very found of taking photos of myself – but I will do it – promise. I basically has very few photos of myself. But on this trip to Shinkoku, I saw an European woman in kimono, taking photos of herself with the shrine in water as the background – I thought you may do that too!